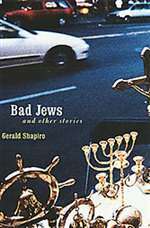 Bad Jews and Other Stories is a nuanced and comic vision of life, love, and spiritual adventurism among the determinedly secular class of contemporary American Jews. Separated from the character-building hardships endured by their parents and grandparents, unable to find a faith of their own or for that matter to believe in much of anything at all, the characters of Bad Jews and Other Stories wander through the moral landscape of their lives in a loopy version of the Children of Israelâ€™s meandering way home. Along the way they suffer a range of antic, often absurd misadventures. And as often as not they find redemption as well as disaster.